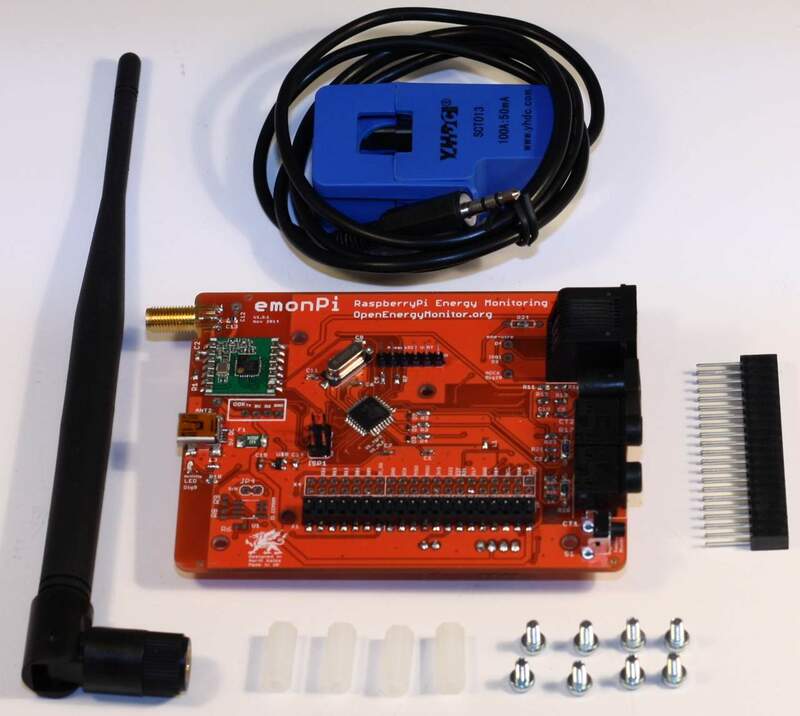 Alternative GPIO interface library based on c. Bring out the engineer in you! Turn your device into a wireless hotspot/access point. This allows other wireless devices to connect and share the internet connection. 1x Supported USB WiFi adapter | May vary depending on device and available WiFi drivers/modules, however, common adapters (eg: Realtek) should be fine. Use the following credentials to connect devices to your hotspot. Once installed, you can change the WiFi HotSpot settings (SSID/Key/Channel) at any time. Navigate to Networking Options: Adapters, then select WiFi. Whilst in this menu, it is highly recommended you set the Country Code to your country. Depending on your country regulations, this could allow for channels 12/13 and increased power output (range) for the hotspot. Shairport Sync is an AirPlay audio player which plays audio streamed from iTunes, iOS devices and third-party AirPlay sources such as ForkedDaapd and Airfoil. Audio played by a Shairport Sync-powered device stays synchronised with the source and hence with similar devices playing the same source. This allows for synchronised multi-room audio on multiple devices. Airfoil is an application that will let you stream audio playback directly to any Shairport Sync device. Press play on your favourite music player (eg: winamp/spotify) and click the speaker next to the DietPi device. By using a PC + Airfoil, you can master the music in realtime using the PC's CPU. This will allow all your shairport sync devices to sound even better without any performance hit on the device. FuzonMp3 is a lightweight music player coded in c++ that sounds "as it should" and supports VST plugins. iZotope Ozone 5 is highly recommended for audiophiles. If you are planning to use multiple Shairport devices on the same network, please make sure the hostname of each device is unique. The hostname will also effect the shairport-sync name. This can be completed in dietpi-config > Security Options > Change Hostname. Soxr interpolation will improve the output audio quality on Shairport. However, it is extremely CPU intensive. Increasing the shairplay-sync process priority (nice) may resolve the issue. - Scroll up and select 'Nice : -20 (Highest priority)' then press enter. DietPi will then automatically apply and set the nice level. If the choppy playback continues, the CPU is most likely is insufficient for the processing required for soxr, and, should be disabled. All stacks come with PHP-FPM and PHP caches (APCU and OPcache). The sizes of which are optimized based on a share of total memory. DietPi will install webserver stacks automatically, when required, based on your preference. Click here to find out more. Lightweight CalDAV + CardDAV server. Enter a new admin password for your account, then click the next/save button. Baïkal was not able to establish a connexion to the configured MySQL database (as configured in Specific/config.system.php). The MySql service must be restarted before BaiKal can start using the SQL db. Login password = What you set during 1st run setup above. A slick, lightweight system stats monitor with web interface. A non-SQL based (alternative) data store. Turn your Raspberry Pi into a energy usage monitor with web interface. Ultra lightweight alternative installation to the official EmonPi image, with all the optimizations and features of DietPi. Allowing additional uses for your RPi device (eg: Owncloud server): Htop image of RPi Zero @ 700mhz, running our EmonPi installation. Realtime and historical energy usage statistics uploaded to the emoncms.org cloud, viewable from a web browser and the Android App, from anywhere in the world. Use an existing RPi, or, do not wish to purchase the full EmonPi package (eg: case). Comfortable attaching the EmonPi to your Raspberry Pi GPIO. No soldering or wiring is required. Local emonCMS webserver on RPi. All emonPi data is sent to emoncms.org cloud. 1x EmonPi PCB - Order one here: Select Assembled PCB Only - No Enclosure, all other items to none (£59). Image of what you will receive. This installation also supports the optional temperature sensor, but its not required. 1x Good quality Raspberry Pi PSU - (5v 2amp). The EmonPi does not need its own power supply. It will draw power directly through the GPIO's on the RPi. You will be asked to create a emoncms.org account and input your unique API Key. DietPi will automatically apply your API KEY during installation. If you did not complete this, or wish to change the API Key on your system, please follow the steps located here, otherwise continue below. Assign a name to your Power usage input. Inputs are the realtime value of the data received from the EmonPi. We will assign a name to the power watt usage so we can use it later. Node 5 and Key 1 is your Power Wattage readings. Click the pencil on right hand side and change the name to Power WATT. Click the tick to save. Feeds allow your EmonPi data (inputs) to be saved to a database. You will need feeds setup if you want to view historical (and pretty) stats. My electric is an application that will allow you to view historical usage of your electricity. Also renders a pretty graph and can calculate costs. Turn your device into a WiFi HotSpot/Access Point with Tor routing. All WiFi HotSpot traffic will be routed through the Tor network, for all connected WiFi devices. Perfect for users requiring anonymity and privacy. What is "Webserver Preference System"? The DietPi webserver preference system allows you to choose your favourite webserver for use in DietPi installations. When you select any software for installation that requires a webserver, DietPi will automatically install, configure and optimize your chosen webserver preference. DietPi will also install Mysql/Sqlite as required, depending on your software selections. Basically, you will never need to manually select/install a webserver stack again. DietPi will do it all for you. Which Webserver is right for me? Feature-rich and popular. Recommended for beginners and users who are looking to follow Apache2 based guides. Lightweight alternative to Apache2. Nginx claims faster webserver performance compared to Apache2. Ideal for medium-high traffic situations where Lighttpd will suffer. Extremely lightweight and is generally considered to offer the "best" webserver performance on Linux for SBC's (single board computers). Recommended for users who expect low webserver traffic and/or personal use. Although the DietPi installation of Lighttpd is set to single threaded, do not be put off by this, in low usage scenarios (<10 users) it will still outperform Nginx and Apache2. What software will trigger a webserver installation? If you select any software in dietpi-software for installation, that requires a webserver to function. I only want to install a LAMP stack, what should I do? Unless you specifically need a webserver stack, it is recommended that you allow DietPi to install webserver stacks automatically. This will ensure compatibility and stability on your system, for the webserver choice you have made. Where can I change the preference setting? Run dietpi-software and select Webserver Preference from the menu. This setting can NOT be changed, if an existing webserver is installed on the system.